Why is it so Popular to Dislike American Airlines and AAdvantage Lately? While the recent United Airlines’ passenger incident (I’m not touching that topic, folks) has dominated the news, there’s another hot topic in the airline blogging world: a sudden distaste for American Airlines’ AAdvantage. So why is it so popular to dislike American Airlines lately? I’m still trying to figure that one out. It’s not as if there’s been any major changes to American’s AAdvantage program in the last few months. And many long-time loyalists to American Airlines are jumping on the bandwagon of discontent. Perhaps all it takes is one prominent blogger to vent about an airline to stir the pot and get every frequent flyer riled up. Awards availability on American flights has been recently poor but this varies on what you’re trying to book. This is difficult to truly quantify, but premium cabin long-haul redemptions on American’s own flights has always been challenging. The overwhelming theme is that all of the major carriers have reduced the benefits of their elite status programs and dramatically raised their mileage needed for award redemptions. I hate to see negative changes to any frequent flyer program but these programs are designed to serve airline’s profitability, not serve the interests of travel “hackers”. Due to the success of the airlines and their consistent profitability, airlines have been less dependent on attracting lucrative frequent flyers with rich elite status benefits. This could certainly change if the economy sours or the airline business weakens due to market conditions or high fuel prices. This is absolutely not unique to American Airlines. The Big 3 carriers all went to a revenue based earnings model by 2016. Delta has removed award charts and increased their award redemption rates dramatically. United continues to lag behind in overall passenger experience and increased partner award redemptions. American has has some of the weakest award redemption availability. American has done a fantastic job since the merger with US Airways to update their fleet with new planes and a moderate refresh of the legacy US Airways fleet. My upgrade ratio still approaches 75% as an Executive Platinum. Even on battleground routes like DFW to LAX. The AAdvantage program still represents a good value if you’re a traveler with moderate flexibility. I like the Oneworld alliance. I’m very keen on JAL, Cathay Pacific, and Finnair. And while not everyone is fond of British Airways, I’m actually a fan. In the end, travelers are going to have their own perceptions about their favorite and least favorite airline. But all things summed, nearly all frequent flyer program are about equal. One must pick and choose what is most important to them. It may be convenience, award redemptions, upgrades, or whatever else is important to their travel experience. Call me an American Airlines loyalist and defender but I’m not ready to cry a river over AAdvantage just yet. 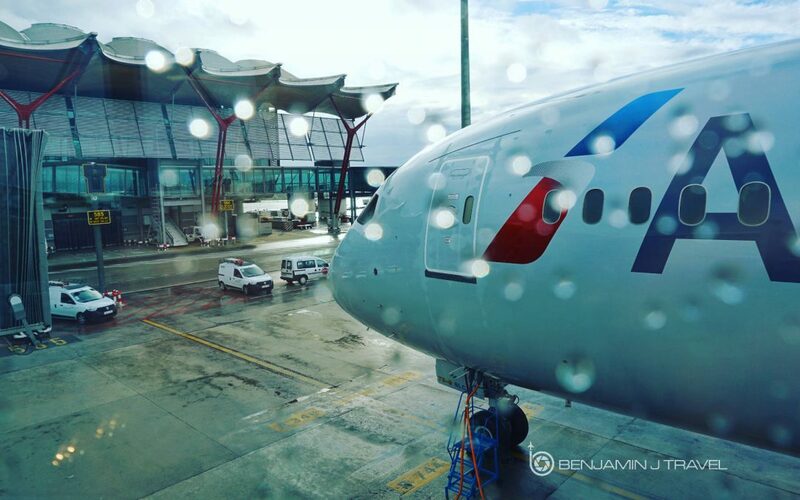 I have mixed feelings – I have been loyal to AA for essentially a decade, choosing to somewhat disregard the few years I was flying LAX-SEA every week on AS but using my AA status for seats and the like. It has become almost impossible to find saver award availability even in coach – in August I am flying to NRT and I was able to find JL award availability on SAN-NRT – fine – but there is not a single saver award seat available between LAX and SAN for a week in either direction. I can book the SAN-NRT award by itself but if award availability opens up LAX-NRT on JL I am stuck positioning myself to SAN when my home airport is LAX. I recognize that LAX-SAN is a pretty good yield route for last minute bookings – but what that says to me is that they should shut off award bookings the month prior, not months out. Yes – long haul award availability has always been difficult to find on AA but being unable to find even one award seat a day on low-yield domestic segments is absolutely maddening. With that being said, I have had a handful of IRROPS situations in the past year that AA has proactively rebooked me on. Just last week I was booked LAX-PHL-DCA and my LAX-PHL was going to be delayed by more than an hour; they proactively rebooked me through CLT to preserve my arrival time in DCA – that is worth a lot! I think based on complaints from DL and UA’s frequent fliers, AA folks are by and large getting a much better deal when things go south. However, I think we also have somewhat of a right as loyal fliers to be irritated that our hard-earned miles can’t be used. I don’t expect to see saver availability on every flight all year round, but no availability at all for weeks and months on end is absurd. I also don’t think I will make the spend requirement this year even though I will be far, far over on miles so that is disappointing. I hear your frustrations with the award bookings. But I don’t feel this is unique to American. I do find myself buying positioning flights quite frequently to snag a better a particular aircraft or airline product. Positioning flights from DFW to MCO, MIA, SFO, ATL, or LAX are often cheap where better award availability can often be found. United’s availability is marginally better but I feel like availability is even worse on Delta and far more expensive. I’m not keen on Alaska’s Mileage Plan as your status is poorly recognized on partners. Plus with Delta no longer a partner and American earnings rates slashed, it’s hard to be a fan of Mileage Plan as a DFW flyer. I don’t want to sound resigned but I think this is just the direction these programs are going for the near term unless the airline industry goes sour which I don’t necessarily want to see either. I completely agree with your thoughts. I am shocked at how upset people are over what really was an inevitability – the good times were actually extended as a result of the USAirways merger – otherwise right-sizing Aadvantage would have happened two years earlier. And why it’s happening just now doesn’t make a ton of sense to me. American still doesn’t sell upgrades. That’s a huge difference from DL and especially UA. My EXP upgrade percentage is north of 85% this year. My friends who are diamonds on Delta haven’t seen percentages above 75% in years. The AA domestic F experience exceeds both of the other major carriers. DL’s dinner service is a joke. And I’m 3 for 3 with SWUs on TPAC routes. The inability to book partners on miles online means there’s often bookable space on CX or JAL and let’s be honest, Id rather fly them in business than AA metal. They need to get power in the LUS A321s fast. The reupholstering was a nice touch though. Other than that, I think EXP is still the best status of the top 3 carriers, and OWE benefits blow anything Delta or Uni’ted offer out of the water (Pier or Wing, anyone?). Thanks for the feedback, LDS. I have started to see upgrades offered to non-elite passengers on AA. My sister was offered one a few weeks ago but it’s not at the scale of Delta or United….yet. The LUS planes are not my favorite and the lack of power ports is a big annoyance. In the last 12 months, 4 of my 5 SWU requests have cleared so I’m still happy there. But since the update on American’s upgrade policy for EXP’s came out today, I’m curiously watching the comments on the other blogs. You can’t please everyone.